While poor countries do bear much of the brunt of looting, the illegal excavation of artifacts is a worldwide problem, traversing socioeconomic and political boundaries as easily as the artifacts themselves from wealthy countries like the United States to poor ones like Mali. While people have always collected artifacts, in the past century, scientifically minded archaeologists have sought to change the basis of value for those materials. While other groups contend that artifacts continue to be valuable along what could be seen as free market lines (supply and demand, rarity of base materials, etc. ), to archaeologists, artifacts are valued within their matrix of contextual information. This information, located in and around the find spot of an artifact, is used to reconstruct an artifact’s place in its special and temporal context (by distinguishing it from earlier and later material, and by providing clues as to its role). Scholars link their local finds with the larger landscape, hopefully connecting their excavation with others in the region and with already known, datable materials. The goal of this ongoing process is to locate the local within the universal, increase humanity’s storehouse of historical information. As these fragile pieces of data disappear during the process of excavation, and as current laws attempting to stop the black market actually encourage local diggers to destroy that contextual information, every artifact that is uncovered for non-academic purposes (what archaeologists call “looting”) is seen by archaeologists as destroying humanity’s birthright, knowledge of its past. Valuable information is gained through scientific excavation—information about associated architecture, finds, and mortuary contexts—which is all but destroyed by the illegal excavation process. According to archaeologists once artifacts enter the marketplace in their decontextualized state much of their relevant information and the knowledge that can be gained are lost. Running contra to this position, a variety of other groups view archaeologists as competition for scarce resources. Ignoring (or ignorant of) the way that archaeologists value artifacts, they maintain that an artifact’s value should continue to reside in its scarcity, beauty, and appeal to the buyer. The purpose of this paper is to explore these seemingly incompatible positions and to argue for a consilience model, one that would reset the market, making archaeological context valuable to both archaeologists and local diggers. The archaeological position on the collection and study of artifacts is based on their concerns about the fragility of provenience information. As these contextual data are the keys to unlocking human history, which is of benefit to all, archaeologists argue that there is a universal ethical imperative to protect archaeological context. This position has led archaeological groups to create codes of conduct that contain anti-looting language, to urge governments to enact legislation to protect sites from looters, and to persuade international groups to condemn black market activities. As a member of the archaeological community, I must admit that this position seems wholly rational and appropriate. In fact, many I and many of my fellow archaeologists have spent years wondering how other “players” in the archaeological antiquities market are able to continue their activities, knowing (as they must) the destruction that they are responsible for. However, despite archaeological protestations people involved in the antiquities trade believe that they have a right to claim these artifacts as their property. Given that local diggers have no reason to be interested in provenience (and that existing laws encourage them to destroy contextual information), it makes sense that their interests are in the monetary value associated with artifacts. They would like to replace the extant international export bans on decontextualized artifacts with policies where forces such as supply and demand, the value of the materials making up the artifact, and the rarity of the finds themselves, would drive artifact collection and sale. Adding insult to injury, people routinely call archaeologists to authenticate or evaluate pieces that they own or are planning to purchase, and to protect both archaeologist and artifact from exploitation, most professional archaeological societies have developed policies against being the means for these finds to become a part of the academic record. This is, in part, done because archaeologists are concerned with the increasing commodification of information in the twenty-first century. Their fear is that discussing or authenticating these pieces will make them complicit in the current market and will fuel future illegal activity. Their alternative, to block what they perceive as the devaluation of artifacts (stripping them of their value to humanity) is done for the noblest of reasons, the dissemination of knowledge to all. As such, the strength of archaeological position rests on a strong foundation, the idea that the protection of find-spot information is important to all, that it is a universal good. The belief that everyone is interested in learning about their history sounds believable. However, it turns out that this belief is not well founded for a couple of reasons. On one hand, in the past, scientists have used historical data to undermine indigenous groups’ histories (or metaphysical underpinnings) or to reify long-standing inequities between the strong and weak. Even in modern times, indigenous groups bristle at archaeologists when they argue that their long held oral and written histories need to be corrected by foreign scientists. Added to this, many modern governments now have the power to legislate on the fate of artifacts on (or under) their soil. As such, local groups have reason to believe that decisions about a particular artifact’s fate may be subject to the interests of those currently in power. 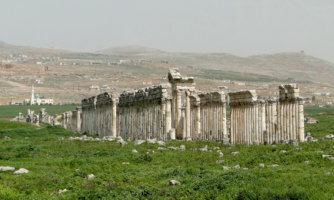 Historically, governments worldwide have determined that certain artifacts or archaeological sites are not worth saving. In some extreme cases, authorities have ordered the destruction of artifacts belonging to non-dominant groups. Even in cases when a country might have no stake in the outcome of an archaeological controversy, governments, with far more attorneys than philosophers on their payroll, may find themselves more able to handle questions surrounding legality and liability than abstract ideals of right and wrong. Put another way, ethics have to do with what is right and wrong while law has to do with ·what is allowed and proscribed. Sometimes the law is consistent with what is generally perceived as ethical, but quite often something can be right even if “it’s illegal or, conversely, it can be wrong even if not proscribed. Another point of anger between landowners and archaeologists is that the former see the latter as a foreign influence on what should be a local matter. In many countries, archaeologists determine whether a piece of land is of archaeological significance. Archaeologists are seen as coming onto private property and removing valuable artifacts from under the feet the people who believe they own them. In the end, whether indigenous people are digging for supper, for entertainment, as a political statement, or as a way to entice visitors, they generally see archaeological claims on artifacts as a power grab by an outside group who wishes to benefit from “their” property. The result of these competing and conflicting interests has spiraled out of control, resulting in the current state of the black market, a very dangerous, very profitable (though not for the diggers), and very illegal operation. Rather than fight, one might imagine that another alternative might be for both sides to stop digging. There are good arguments to leaving artifacts and sites undisturbed. The best of these is that, with time, archaeological techniques would probably allow archaeologists to gain more knowledge from sites than we can now. By removing materials, even archaeologists are possibly destroying (future) provenience data. For this reason, archaeologists routinely leave portions of their sites unexcavated. However, given the rampant destruction of sites, whether uncovered by archaeologists or not, and given the damage that both natural processes (such as earthquakes) and unintentional human impacts (such as the trawling over undersea sites) have on archaeological materials, archaeologists do not see this as an option. Diggers are also not going to find the idea of leaving artifacts in the ground especially compelling (for reasons just mentioned). So, this is not a realistic option. In short, the archaeological market is currently fractured, with two groups each claiming the validity of their position regarding artifact extraction. The groups work to each other’s detriment and refuse to acknowledge the claims of their adversaries as being other than governed by self-interest. As decades of criminalizing digging have proven ineffective at curbing the black market on the supply side, this author’s hope is to find a way forward that might appeal to archaeological and local stakeholders. Even if archaeologists and other diggers have the best of intentions and are able to sit down together, collaboration can be difficult to achieve for a variety of reasons, not limited to the different levels of education and the different metaphysical and epistemological commitments of the archaeological and local communities. In fact, as we have already seen, much of the current problem stems from both archaeologists and diggers assuming that they possess the ethical and epistemological high ground. When he comes to the table with others who have radically different perspectives as regards the past, Archaeologist Ian Hodder does not have high expectations for agreement, and what agreement there is stops short of anything that either side would expect as a baseline, much less as a common core belief system. That being said, there are philosophers and archaeologists who argue that the hardships are not only worth the extra work, but that they result in better archaeology. The question that needs to be asked here is not whether archaeologists can work with indigenous communities. There are numerous examples of great archaeologists and great local groups putting aside their reservations with each other to do good work. Examples of this include Hodder’s ongoing work at Çatalhöyük, the Community Archaeology movement, the Indigenous Archaeology movement, and work from the standpoint of archaeological theory and the philosophy of science. What needs to happen here is more fundamental. There needs to be a shift in the market so that archaeological and local interests are more in line with each other. Although this may seem shocking (or, to archaeologists, distasteful), the fact is that the chasm between archaeologists and local diggers may not be as great as we might suppose. In fact, realignment may (to some extent) be a simple as a good publicity campaign. People living near a site may have a hard time understanding how their activities are substantively different than those of archaeologists. While local diggers see a difference in methods (with archaeologists slowly working in clear, balk delineated, areas) the results appear to be the same. In the end, the objects are unearthed, photographs are taken, and the artifacts are taken away from the area, never to be seen again. Archaeology, in the minds of the public, is largely a fantasy that is inspired by major motion pictures, television shows, museum exhibitions, news stories in mainstream media, and popular books about archaeology and archaeologists. Not only do these programs misrepresent archaeology, they actually drive the antiquities trade. The public usually encounters artifacts in museums, where contextual information is rarely present and even more rarely highlighted, and by watching television (from American Digger to Antique Roadshow), where artifacts are collected to be brought to market. On the other hand, academic archaeologists are forced to spend much of their time publishing in peer-reviewed journals in order to maintain their academic credentials or employment. Unfortunately, these journals do not reach the general populace, both because of the subscription pay-walls of many academic journals and due to their academic focus. If people interested in archaeological context want to make headway against this trend, perhaps people need to start working with the mainstream media and to find other ways to connect with the general populace. There are many examples of governments (federal or state) using government subsidies to encourage economic development of some (as opposed to other) technologies. For example, by subsidizing the cost of oil and gas (especially during this energy source’s infancy), the government made it possible for oil companies to develop the technology and infrastructure they needed to solidify their position in the energy business. In recent years, renewable energy subsidies have overtaken oil and gas subsidies, which has led to sharp price reductions in the cost of solar and wind power. Although this author does not believe that shifting government subsides or direct monetary investment will aid archaeologists in their quest to preserve contextual data, the question remains whether economic forces (or other agreements) can be used to shift profitability from those who destroy contextual information to those who value the preservation of provenience. The rest of this chapter will be devoted to exploring this question. Whether economists want to admit it or not (and Broome suggests that at least some do not), economists have a responsibility to advise the public in matters where individual desires may conflict with the greater good. Of course, other economists would disagree, arguing that economics should remain pure. However, I believe that if economists are making normative judgments when they set economic policy, they should be brought up to date on the economics of the archaeological and black markets. One way for economists to enter this discussion with archaeologists and other stakeholders might be to help define the short and long term impacts of the antiquities market on those communities involved in the black market. Brodie suggests that while focusing on the economic value (as opposed to the cultural value) of artifacts may lead to short term profits for the individuals involved, the long term impact on these communities, in terms of lost tourism income and the loss of academic and cultural prestige, provides a strong argument for the alternative, archaeological excavation. This trade off (individual short term profit for long term regional financial stability) occurs because, in the former case, the money generated by local digging leaves the dig-site (minus 1% of the artifact’s value, which goes to the digger), and is exported to the country where the artifact lands after being exported. This piece will provide its payoff by generating income in a museum (by selling tickets) by providing educational opportunities and material for scholarship, or through repeated sale, etc.) At the same time, the subsistence diggers who found the materials carry much of the risk, as they are violating local laws. In the latter case, the economic benefit goes to the source country. In many cases, artifacts remain in the country where they were excavated, and these finds can then be used to set up archaeo-tourism, to sponsor research, and to increase media coverage. While this study may not stop individuals from selling artifacts (benefitting the community that it might be to their best financial interest to focus on preservation instead of individual profit. To further make his case for local protection of artifacts, Brodie suggests that museums wanting to display artifacts over an extended period might rent (rather than borrow) those materials, with the proceeds going back to the source communities. Silvia Beltrametti, and Michael Kremer and Tom Wilkening offer similar suggestions, suggesting the possibility of creating leasing agreements and other financial packages that would benefit both source and destination markets in ways that current legislation, focused on export bans, do not. Beltrametti uses successful case studies of loans and cooperation agreements between museums and foreign governments to show that leasing agreements could be packaged in a way that would be as attractive to museums as Brodie believes it could be to local communities. Further, Beltrametti believes that renting or leasing artifacts would provide a mechanism to bring together two groups who are usually at odds with one another. On one side, those who believe that there is an obligation to share artifacts with the world would be able to do so, possibly with increased access as the owners might lease artifacts that they would never sell. And in addition to taking looters out of the loop, Beltrametti shows that cooperation agreements today, and hopefully leases in the future, would allow for increased movement of antiquities, as current legislation, in attempting to curtail illegal trade, has put up significant roadblocks against legal trade as well. On the other side, this sort of program would directly aid in the preservation of the sites and communities now being ravaged for the benefit of people foreign to the find-spots of these artifacts. Coming to the same conclusion from a different perspective, economists Kremer and Wilkening also show that the status quo should be replaced with financial tools that would eliminate much of the appetite for artifacts that currently drives the black market, and would bridge the gap between those who believe that artifacts can be owned and those who see artifacts as belonging to humanity. Their data driven study explores a wide range of scenarios and shows, from a strictly economic perspective, that leases (the safest choice when corruption is rampant) and sales with repurchase options (under more ideal conditions) would benefit all parties in a variety of ways, including giving short or long term revenue to poor countries or helping offset the high preservation costs needed for the protection some artifacts, costs that might not be within the means of the source country. Obviously, the details in proposals like Brodie’s or Beltrametti’s would have to be worked out, and Kremer and Wilkening note with worry that a part of their paper (suggesting the sale artifacts, even with repurchasing contracts) might give unintentional credence to those who equate value with a dollar amount. However, economically informed policies such as these could help to preserve find-spot information, would increase international access to artifacts, and would, at the same time, provide recompense to the people whose lives are impacted by the presence (and then absence) of those artifacts. Just as economically informed archaeologists have proposed some ways to help nudge the market in the right direction, other groups, seeing the rampant looting going on around them, have suggested ways (ranging from the intriguing to the clearly non-ideal) to at lease mitigate the damage being done to the archaeological record. These projects have in common with the archaeological projects mentioned above the idea that controlled excavation profitable to local diggers is preferable to having them dig on their own and hide their sites from archaeologists. Channeling the frustration of many who see ongoing destruction as the byproduct of the war between archaeologists and local diggers, Philosopher Kwame Appiah, speaking of the mass destruction of sites going on in Mali asks whether people would be better off if objects be recorded and registered before leaving the country and stipulated that if the national museum wished to keep an object, it would have to pay a market price for it. Overwhelmed by looting in the Ghor Es-Safi region, in the 1980s, the Jordanian Department of Antiquities (DOA), in consultation with archaeologists in the area, developed a buy-back strategy to satisfy local diggers’ financial needs by rewarding the protection of archaeological provenience data. In exchange for information, looters and dealers would receive financial compensation for the artefacts in tier possession, further reinforcing the exchange value of the artefacts. The archaeologists (under the auspices of the Jordanian DOA) would receive artefacts and associated contextual information. Archaeologists would associate the monetary value of an artifact with the contextual information the digger could document. Photographs, other documentary evidence, exact find-spot locations of artifacts, and the like, would result in a better payout than would less (or no) information. This project was designed cut out middlemen who would have profited from these sales, connecting instead the digger with the archaeological community. This program resulted in bringing many artifacts back to the region, allowing for their publication in academic journals. In England and Wales, both the Treasure Act (1996) and the Portable Antiquities Scheme (2001) were created partially through the archaeological community acknowledging that portable antiquities are a commodity for which members of the public will continue to search. Both archaeologists and pothunters value “portable culture,” and because they have worked together on this common interest many finds have been reported and documented in England and Wales since the Portable Antiquities Scheme (PAS) and Treasure Act were created. These laws allow people to look for metal artifacts with the aid of metal detectors, guaranteeing them payment for their finds if they report them to the government so that archaeological teams can then go out excavate (and give provenience to) the archaeological material they have located. Of course, as Suzie Thomas shows, legality does not equate with acceptance, as members of the archeological and various metal detecting communities continue to have a difficult relationship, despite the goals of laws like the PAS. Another example is Northeastern Mali’s CultureBank which allowed local diggers to bring their finds to local museums where they could “bank” them as collateral for low interest business loans. In some ways, each of these collaborative agreements between governments, archaeologists, and antiquities diggers could be seen positively. However, before these sorts of programs are put forward as “proof of concept” success stories, these case studies also highlight the dangers that archaeologists cite when they worry about the antiquities market. For one thing, although buy-back programs may lessen the export of artifacts, there are no data showing that this stops local diggers. One could argue further that by assigning prices to artifacts, the archaeological community is reinforcing the idea that artifacts should be seen as commodities, a danger that always looms in archaeologists’ minds. Coming from another direction during his now famous 2002 walk across Afghanistan, British MP Rory Stewart saw the destruction caused by the despair gripping that war torn country: “The Taliban had just blown up two monumental Buddhas that had stood, carved into the side of a cliff in the Bamiyan Valley, since the sixth century.” Returning in 2005 at the behest of Prince Charles, Stewart set up a NGO, the Turquoise Mountain Foundation, to try to turn the tide, using his strengths at motivating people and fundraising to bring a Murad Khane, a Kabul slum set to be demolished back to its nineteenth-century glory, engaging the local populace to work to restore and reconnect to its own cultural heritage. Putting in place vocational schools to teach traditional calligraphy and woodworking and pairing historic preservation with 21st century updates (i.e. adding electricity and plumbing), Stewart sees this neighborhood as a test case in urban renewal. Stewart is neither an archaeologist nor a city planner, and his work has raised a number of questions about his focus and his chances of success. However, in 2013 the restoration of Murad Khane’s Great Serai resulted in the TAG receiving an award of distinction from UNESCO. Whether he succeeds in saving the Khane (which is still officially scheduled for demolition), his idea, to set up the resources so that local people can gain the skills that they need to recapture their history, is laudable. While this chapter can propose no solution to the “antiquities problem,” understanding that the concept of archaeological value, a term that is equally economic and ethical, may allow for archaeologists and diggers to see each other in a better light. If people can have differing (and not necessarily unreasonable) starting points when thinking about artifacts, then clearly, pronouncements of “right and wrong” or “legal and illegal” are not going to be sufficient to move other stakeholders into stopping their activities. From the case studies referenced above, it is clear that many archaeologists have already decided, whether for their own or for mutual benefit, to work with communities. However, to have a serious impact on the antiquities market, archaeologists need to continue to step up their game in a number of ways, rethinking (and continually reevaluating) their own practices, gaining a better understanding of the economics of archaeological value, and then making the case that the preservation of context can be of value to all parties (even if each group values different things). Obviously, there is every reason to believe that the black market will continue, regardless of economic insights, archaeological efforts, successful licensing agreements, and creative tools. However, if archaeologists can start to think a little bit more like economists, if they can make their case for archaeological value, then I see a real potential for archaeologists and local communities to work together profitably, in ways that will result in mutual gain. Patty Gerstenblith, “Controlling the International Market in Antiquities: Reducing the Harm, Preserving the Past,” Chicago Journal of International Law 8.1 (2007): 169. Morag Kersel, “When Communities Collide: Competing Claims for Archaeological Objects in the Market Place,” Archaeologies: Journal of the World Archaeological Congress 7.3 (2011): 526. Fincham provides a good example of an archaeologist expressing what he believes are universally compelling and obvious reasons to block non-archaeological digging. Derek Fincham, “The Fundamental Importance of Archaeological Context,” in and Crime: Exploring the dark side of the art world, ed. N. Charney (Westport: Greenwood Publishing, 2009), 1-12. As the United States of America is a signatory on the 1970 UNESCO convention on the Means for Prohibiting and Preventing the Illicit Import, Export, and Transfer of Ownership of Cultural Property, only finds “discovered” by collectors prior to that date are able to be bought and sold legally. In any country that is held to this convention will prosecute people in violation of the convention, any digger who is currently in the field has no choice but to strip all finds of any contextual information that can place them in space and time. In place of the real information, the digger and antiquities network invent a false history, which has the consequence of doubly destroying that artifact’s ability to provide contextual information. Kimberly Alderman, “The Ethics of Context: Exploring Assumptions in Discussions about the Looting of Archaeological Sites,” ARCA Journal of Art Crime. (2010): 93. Including, but not limited to the American Schools of Oriental Research, the Archaeological Institute of America, the Society for American Archaeology, and the Society for Historical Archaeology. Such as the Bamiyan Buddhas, destroyed on orders of the Taliban in Afghanistan, after they were declared idols. Examples of legal, though unethical positions include the Taliban’s 2001 decision to destroy the Bamiyan Buddhas in Afghanistan and the Nazi’s appropriation of art owned by Jews. In both cases, the reigning government enacted laws that are clearly in conflict with ethical behavior. Alderman “ The Ethics of Context,” 93. The question: “who really ‘owns’ the artifacts” is among the more complex issues here. Is it the modern property owners or community (see Layton and Wallace 2006, 58), the modern government (as is generally argued as a matter of law), the direct descendants of the creators (a position that resulted in NAGPRA), or humanity as a whole (the archaeological position, and coupled with the demand that archaeology cease, Cuno 2009)? For underwater archaeology, this problem is compounded, as many other stakeholders could come forward, including the artifact’s original owner, the ship’s owner, the ship’s nationality, the embarkation or intended debarkation port of the ship, the final location of the ship, or the salvagers who recovered the material. Robert Layton and Gillian Wallace, “Is culture a commodity?” in The Ethics of Archaeology: Philosophical Perspectives on Archaeological Practice, ed. Chris Scarre and Geoffrey Scarre (Cambridge: Cambridge University Press, 2006), 46-68; James Cuno,Whose Culture: The Promise of Museums and the Debate Over Antiquities (Princeton, NY: Princeton University Press, 2009). For a larger discussion of the motives for and perils of digging, refer to William Krieger, “Marketing Archaeology,” Ethical Theory and Moral Practice.” Available at http://link.springer.com/article/10.1007/s10677-014-9497-9.Accessed March 6, 2014; Neil Brodie, “Archaeological Looting and Economic Justice,” in Cultural Heritage Management (Gainesville: University Press of Florida, 2010), 261-76. For a focused account of the current state of the archaeological black market, refer to Bythe A. Bowman, “Transnational Crimes Against Culture: Looting at Archaeological Sites and the ‘’Grey’’ Market in Antiquities,” Journal of Contemporary Criminal Justice. 24: 3 (2008), 225-242. Kersel, “When Communities Collide,” 521. George P. Nicholas and Alison Wylie, “Archaeological Finds: Legacies of Appropriation, Modes of Response,” in The Ethics of Cultural Appropriation, ed. James O. Young and Conrad G. Brunk (Malden, MA: Blackwell Publishing Co., 2009), 36-37. Ian Hodder, “Is a Shared Past Possible? The Ethics and Practice of Archaeology in the Twenty-First Century,” in New Perspectives in Global Public Archaeology, ed. Okamura, Katsuyuki and Akira Matsuda (New York: Springer, 2011), 23. Nicholas and Wylie, “Archeological Finds,” 18. Jennifer Schaffer, Gokce Bike Yazicioglu, and Maureen E. Marshall, “To The Trowel’s Edge: An Interview with Ian Hodder,” Exchange. Available at http://ucexchange.uchicago.edu/interviews/hodder.html. Accessed April 11, 2013. This article helps the reader understand how Hodder’s goals and motives have shaped his innovative archaeological work. For an example of community archaeology’s impact on both archaeology and local populations, refer to Stephanie Moser, Darren Glazier, James E. Phillips, Lamya Nasser el Nemr, Mohammed Saleh Mousa, Rascha Nasr Aiesh, Susan Richardson, Andrew Conner and Michael Seymour, “Transforming Archaeology through Practice: Strategies for Collaborative Archaeology and the Community Archaeology Project at Quseir, Egypt,” World Archaeology 34.2 (2002): 220-48. Stillman provides an edited volume that shares the experiences of archaeologists and local populations as they work on archaeological, conservation, and heritage programs collaboratively. Stephen Stillman, Collaborating at the Trowel’s Edge: Teaching and Learning in Indigenous Archaeology (Tucsan: The University of Arizona Press, 2008). Theorists have been working on these issues for some time. Some who have called for or suggested specific methods to move archaeology forward in this regard include Bruce Trigger, A History of Archaeological Thought (Cambridge: Cambridge University Press, 1989) and Nicholas and Wylie, “Archeological Finds. Morag Kersel, “The Power of the Press: The Effects lf Press Releases and Popular Magazines on the Antiquities Trade. Archaeology, Bible, Politics, and the Media,” inProceedings of the Duke University Conference, April 23–24, 2009, ed. Eric M. Meyers and Carol Meyers (Winona Lake, IN: Eisenbrauns, 2012), 76. Tomasi provides a provocative thesis, that there is a consistent middle ground between libertarianism and liberalism. This and other recent theoretical treatises give this author hope that the market can be properly shaped. John Tomasi, Free Market Fairness (Princeton: Princeton University Press). Although this is true, it is worth noting that renewables have gotten far less in their infancy as technologies than did oil and gas. For a study of this issue and its impact on the development of these technologies, see Nancy Pfund and Ben Healey, “What Would Jefferson Do: The Historical Roots of Federal Subsidies in Shaping America’s Energy Future.” DBL Investors (2011). Available at http://www.dblinvestors.com/wp-content/uploads/2012/09/What-Would-Jefferson-Do-2.4.pdf?db4444. Accessed March 6, 2014. John Broome, “Why economics needs ethical theory,” in Conference Paper: British Association for the Advancement of Science (London, 2000), 1. Agnar Sandmo, Economics Evolving: A History of Economic Thought (Princeton: Princeton University Press, 2011). Silvia Beltrametti, “Museum Strategies: Leasing Antiquities,” Columbia Journal of Law & The Arts 36: 2 (2013): 203-260; Michael Kremer and Tom Wilkening, “Protecting Antiquities: A Role for Long-Term Leases?” in Department of Economics – Working Papers Series 1114, The University of Melbourne. Available at http://www.tomwilkening.com/images/Kremer_Wilkening_Protecting_Antiquities.pdf. Accessed September 1, 2013). Although Beltrametti’s paper focuses on artifacts from Greece and Italy, the author suggests that this work could be studied in other contexts as well. Beltrametti, “Museum Strategies,” 207. Kremer and Wilkening “Protecting Antiquities,” 29. Kwame A. Appiah, “Whose Culture is it?” in Whose Culture: The Promise of Museums and the Debate Over Antiquities, ed. James Cuno (Princeton, NY: Princeton University Press, 2009), 77-78. Morag Kersel, “The value of a looted object: Stakeholder perceptions in the antiquities trade,” in The Oxford Handbook of Public Archaeology, ed. R. Skeates, C. McDavid, and J. Carman ( Oxford: Oxford University Press, 2012), 265. Layton and Wallace, “Is Culture a Commodity,” 62. Suzie Thomas, “Editorial: Portable antiquities: archaeology, collecting, metal detecting,” Internet Archaeology 33 (2013). Available at http://dx.doi.org/10.11141/ia.33.12. Accessed August 1, 2013. Kersel, “The value of a looted object,” 266. Rory Stewart, “Cool Under Fire,” Intelligent Life Magazine (September/October, 2011). Available at http://moreintelligentlife.com/content/places/cool-under-fire. Accessed March 6, 2014. For more information on this project, see http://www.turquoisemountain.org/about.html. Accessed March 6, 2014. William H. Krieger is a Professor of Philosophy at the University of Rhodes Island and also works as an archaeologist in Field F at Tell es-Safi/Gath Excavations. He has previously worked at a variety of archaeological sites throughout Israel, including Tel Miqne/Ekron, Tel Harassim, Tel el-Farah, South, the Northern Negev Survey Project, and the Israel Coast Exploration (ICE) project.